This mobile home with all comfort has a private parking (a second car can be parked at local rate). 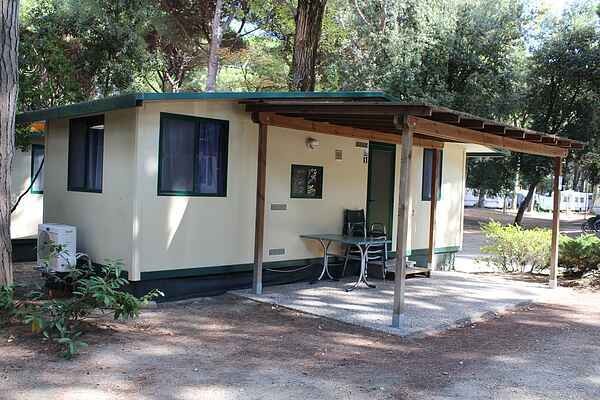 The holiday park, where this mobile home is, offers many services that you can use including restaurant, pizzeria, supermarket, gym with sauna (extra charge), swimming pool, entertainment and a wifi point. One umbrella and two deck-chairs on the beach are included in the price. First supply of sheets are included in the price. The use of the aquatic park and the fitness center is included in the price.